Attack on Russian athletesand Russia is going on. A pool of 17 national anti-doping agencies, members of the National Anti-Doping Organization (NADO), gathered in Denver, America, andurged the International Olympic Committee (IOC) to prevent our athletes from participating in the Olympics in South Korean Pyeongchang. A joint statement was published by The Gardian. In this case, the argument of fighters against doping is more than strange. "We have serious doubts that the 2018 Olympics will be" clean "due to the incomplete investigation of massive evidence of individual doping by Russians athletes at the 2014 Sochi and given the inadequate testing evidence of Russian athletes over the past four years," the statement said. It is evident that there is no evidence, but they really want to have it. Unsurprisingly, the NADO leadres are unhappy with the recent decision of the World Anti-Doping Agency (WADA) to close 95 cases of Russian athletes out of 96 mentioned in the report of Canadian lawyer Richard McLaren on the Russian doping program. Such figures show us that our athletes are not guilty, but the organizers of their harassment,andeven the WADA and the IOC, must respond. Such appeals are already being made. According to Olympic champion Svetlana Zhurova, NADO's statement is nothing more than information pressure on the eve of the September session of the IOC. "People think that since NADO expresses itself so harshly, it means that there are some violations ... The domestic sportsmen read all these publications and are upset. Foreigners also read them and treat Russia with distrust, "the athlete explained. But the Russian sports officials got used toanti-doping battles and react indifferently to what is happening. The question of participation of Russian athletes is out of NAD’s competence, Sports Minister Pavel Kolobkov said. Head of the ROC Stanislav Pozdnyakov is also calm. And we have not heard anything from Mutko yet. The Federation Council decided not to mislead. "Sport is forgotten. Frank frame-up, "Senator Alexei Pushkov wrote in a social network. Perhaps our politicians should work harder with the organizers of the Olympics now. Moreover, the president of the organizing committee "Pyeongchang-2018" HeeBom Lee already expressed his hope that the Russian team will be allowed fully to participate in the Games. The IOC is still cautious. "The worst thing that can happen is when absolutely clean athletes are eliminated from the competition, that's why this investigation is so important. "Clean" athletes should be able to compete, " the head of the IOC Angela Ruggiero said after the publication in The Gardian. It does not sound very optimistic or even suspicious. 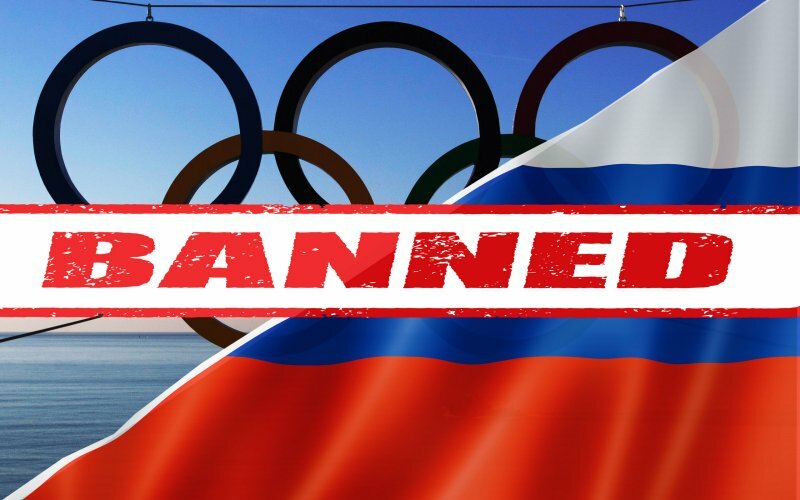 Banning Russian sportsmen from the Olympics is NADO’s main task. The minimum task is mentioned in their statement. They say they do not object to the participation of some Russian athletes, but only if there is doping control and ... if their participations are held under a neutral flag. Thus, they want to deprive our athletes of national victories. Recently, they have already been done such a thing at the World Athletics Championships in London. It looked like a direct humiliation of our athletes. They were forbidden to wear the colors of the national flag, to perform the anthem of Russia publicly or in a hotel, and even use it as a ringtone on the phone. The medals won by the Russians are good, but the resentment remained strong. However, the athletes themselves agreed with such humiliation for the sake of participating in the competitions. The notorious principle which is "the main thing is not victory, but participation" played a cruel joke with them. International sport has always been an arena for identifying the strongest: both athletes and countries. And our athletes agreed to be comforted by the motto for the losers. For some reason, the Russian authorities pushed them to do this. Prime Minister Medvedev pushed. After such a clear demonstration of weakness, you can hardly be surprised bybanning Russian sportsmen from participating in the forthcoming Paralympic Games. Unfortunately, Russia's cynical enemies once again, like in Rio, used athletes with disabilities to get their benefits. Despite the fact that Paralympians were less suspicion of using doping than the "ordinary" athletes were. Now, the Russian Paralympicists have nothing to do but to hope to go to Pyeongchang in casethe leader of the International Paralympic Committee (IPC) British Philip Craven quits, who is the main opponent of Russia's participation. The decision can be reconsidered only after the meeting of the WADA Founders' Council in November. Closing cases of the Russia athletes based on McLaren's report gives a good chance for such an outcome. But actually, it's time to see the true reason for what is happening around the Russian sport. It is a question of coordinated attack of Anglo-Saxon sports institutions against Russia. The initiators of all "attacks" have always been either British or American. Then they mobilize their henchmen. The English-language media strengthen the opinion of the formed pool which is presented as the opinion of the international sports community. The same NADO was created in 2011 by only five countries: the United States, Great Britain, Canada, Australia and Norway.The question is for what purpose. But if you remember that hundreds of American athletes took dope with permission from WADA, as reported by hackers from the Fancy Bear group, perhaps NADO's task was to provide a "cover" with blaming athletes from other countries. And Russia has been chosen to be such a country.